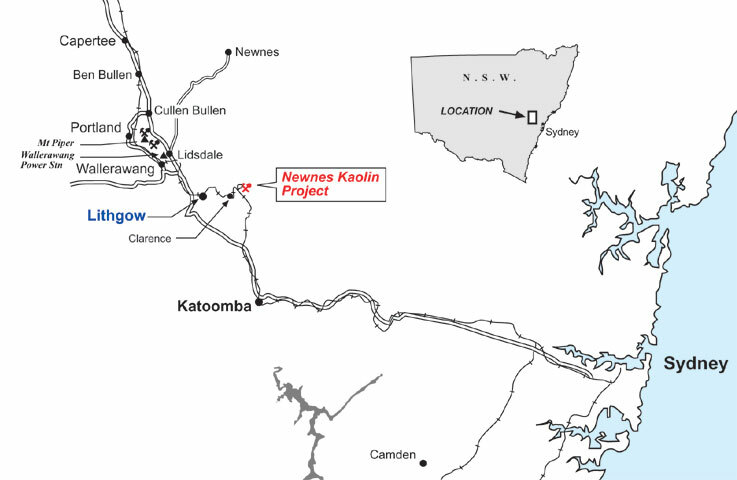 The Project area is located at Newnes Junction on the Newnes Plateau, some 10 km east of Lithgow, sandwiched between the Clarence Colliery and the Rocla Quarry. The figures below illustrate the Project's location. Location of the SCM development relative to Sydney. The site is approximately 10km east of Lithgow, and just under 100km west of Sydney. 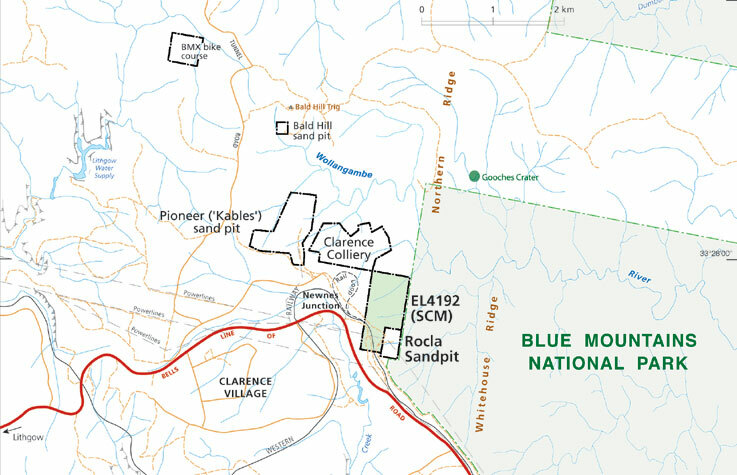 Locality map of the Newnes Plateau showing the distribution of existing and proposed sand extraction and other industrial activity. The figure below provides an understanding of the proposed development in relation to existing industrial activity on the Newnes Plateau. 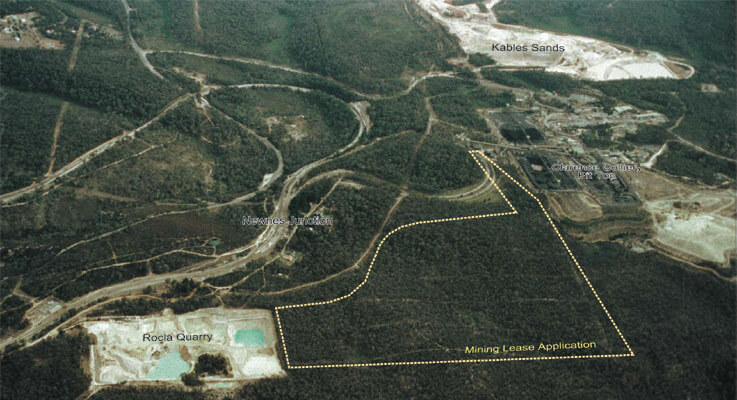 This includes the Centennial Coal Company's Clarence colliery (bottom right), Rocla's Newnes Junction sand quarry (bottom left), and Hanson's Kables Sands quarry (top right). The figure also identifies the various transport and power infrastructure already present in the area. Aerial photo of the Newnes Junction region showing how the SCM project will nestle in amongst existing industrial activity.